Aggregate your digital assets within one system and deliver these across many platforms. 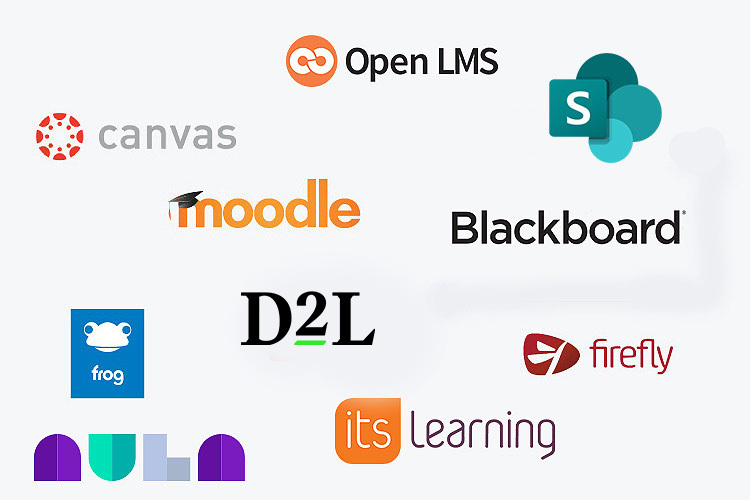 Enhance the digital learning provision of your VLE or LMS with dedicated plugins that allow users to seamlessly browse, embed and upload media from within your chosen platform. Planet eStream also offers integrations with leading library management systems and management information systems, as well as technical integrations for AD, LDAP, Azure, SAML2/Shibboleth, SSO etc. Planet eStream enables users to have superior video support in their VLE. Our range of bespoke plugins for supported VLEs enable educators to easily embed videos, photosets, quizzes, playlists and widgets from Planet eStream within their chosen VLE without the need to cut and paste embed codes. There is also the option to allow your users to upload videos and media to Planet eStream from within their VLE to streamline workflows. This is great for implementing video assessment processes and enabling both students and teachers to submit video responses. Selected VLE plugins provide full access to Planet eStream’s TV recording service and TV archive*. This enables educators to directly browse current television broadcasts and a library of over 2 million archived programmes, and embed these directly into their VLE/LMS course pages. *TV recording and archive access is subject to level of licence purchased and limited to UK customers only. The results from interactive video based quizzes created in Planet eStream that are embedded within Canvas are automatically fed back to Canvas Gradebook. Planet eStream provides specific embed code options for both Microsoft OneNote and Sway applications. This enables users to take content on their Planet eStream and embed this directly into their OneNote documents and Sway presentations. Please note, this feature is currently only available for Planet eStream customers hosted on our multi-tenant cloud platform. Users with permission to create web links in Planet eStream also have access to the Google Classroom ‘Share Link’ button. Users can select options to create their web link and then click on the Google Classroom Share option to start adding content to Google assignments. Dedicated Microsoft PowerPoint Integration empowers educators and students to search and embed content from Planet eStream within their presentations. Content management is important for library administration and Library Management Systems are perfect for cataloguing all resources, including Planet eStream content. Our bespoke plugins with our LMS partners enable librarians to search their LMS and return results from media assets on Planet eStream as well as those in their LMS. This syndicated search provides a great central resource for learning resources professionals. Display a slideshow of book covers and titles from your MLS Reading Cloud, Eclipse or Junior Librarian on digital signage screens powered by Planet eStream. Options available include Top Ten, Book of the Week and New Resources. Planet eStream is an official Enterprise iSAMS Partner and have developed a series of great integrations that provide synergy between two vital management tools. Our integrations enable organisations to tag their Planet eStream videos and photos with iSAMs data including class, year group and individual student options. 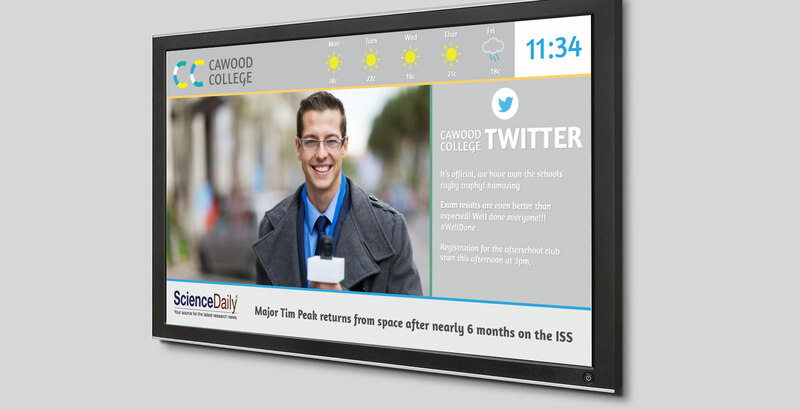 We also offer the ability to pull data from the iSAMs calendar and bulletins straight into Planet eStream digital signage designs. Sharing school photos and videos with parents has always been part and parcel of school life. Our integrations with parent portals enable you to securely share selected media from your Planet eStream library with parents and the whole school community. From within your parent portal you can browse your Planet eStream media library and embed selected items with ease. Our My School Portal integration enables iSAMS users to tag content with data, including class, year group and individual student options. See the integration in action below. Planet eStream has many authentication options to give you full and comprehensive control over your media archive. Options include - LDAP, Active Directory, Microsoft ADFS, Microsoft Azure AD, SAML2/Shibboleth and Google Login.